Has the idea of flight always excited you? Then you’re the ideal candidate. “For what,” you ask? To become a commercial airline pilot. It’s an incredible, rewarding, and lucrative career path which can literally take you around the globe in a matter of days. However, becoming a pilot is not as simple as putting on a tie, walking into an interview, and landing a job. There are several intricate, enduring, and sometimes even overwhelming steps that you must take in order to earn your certifications and take flight on the career of your dreams. 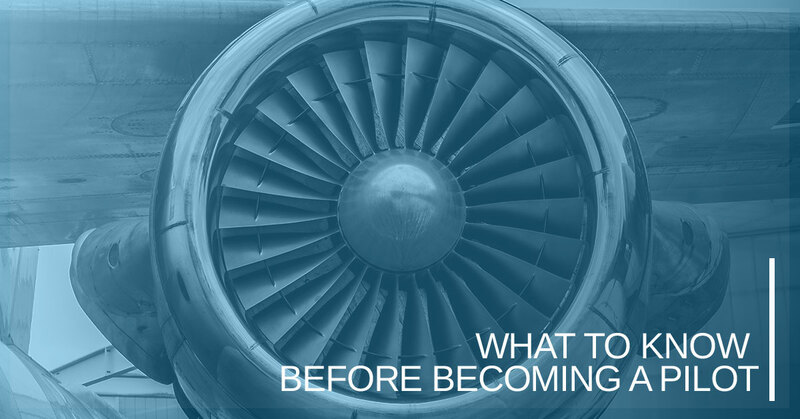 In this blog, we’ll be touching upon a few of the things you need to know and consider before you can become a pilot. Hopefully, at the end of this blog you will be more sure than ever that it’s what you want to do — and you will be willing to put in the work to get there! Keep reading and enroll at Alliance Aviation in Miami for all of the commercial flight training you will need. As much time as you may have put in on your favorite video game, that is no replacement for actual flight training. In order to become a commercial airline pilot, there are a whole slew of certifications that you need to earn. First of all, you need to earn your commercial pilot’s license. The next, and possibly most important, thing you need to do is earn your type rating. A type rating is what qualifies you to operate a specific aircraft, such as a Boeing 737, for commercial use. When searching for type rating training, which is an important element in becoming a pilot, look no further than our Miami pilot training academy. We have been known to help national and international students earn their type ratings and become commercial pilots for some of the major airlines. Whether you are an India DGCA pilot or a private pilot right here in Miami, we have the tools to help you succeed. While it is somewhat of a common myth that you have to be born with perfect eyesight in order to become a commercial airline pilot, there are still some health requirements that you must meet. Because flying an airplane can be stressful in and of itself, not to mention the major responsibility of transporting passengers on a commercial plane, pilots need to be in good physical health as certified by a doctor. Intuition and quick decision-making go hand-in-hand with a career as a commercial pilot. You need to know how to plan, as well as how to change your plan on the fly (no pun intended), in order to be a successful pilot. There is no replacement for good decision making, and it can ultimately make or break your ability to fly a plane. In the United States, the FAA is the regulatory agency in charge of governing the skies, to a certain degree. The FAA rules and regulations do differ from other governing bodies, such as the India DGCA, so it’s important to know the rules in the country where you want to become a pilot. The final, and arguably most important, thing you need to know before becoming a pilot is that you aren’t alone. At Alliance Aviation, we want to help you take flight on a career path of your dreams. With top-of-the-line type rating training, state-of-the-art facilities, and knowledgeable and experienced instructors, you too can learn how to become a commercial airline pilot in no time at all. Contact us or enroll online today to get started.